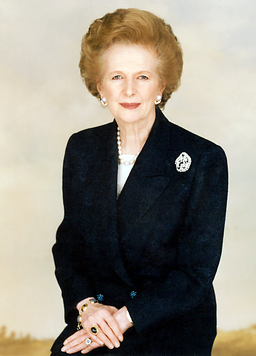 I had resolved to keep quiet about death of Thatcher; ‘discussions’ have flared up at work from time to time during the last week and I have (unusually) refrained from comment. As I’m normally the first one to volunteer my political opinions at work my manager has eyed me suspiciously. I certainly hadn’t planned to write a blog. The truth is I feel a bit of a fraud commenting on Thatcher – I was just seven years old when she stepped down so I didn’t live it the way that so many people did. And it seems to me that most people’s opinions of her leadership come from a deeply personal place. It’s very difficult to argue with someone whose beliefs are based on experience, particularly when my own are based on media reports and history books, so keeping quiet has seemed like the best option. However, there is one issue where I feel do qualified to wade in and which has been getting me VERY frustrated since her passing; the debate in the media about ‘what Thatcher did for women’. I personally think before anyone answers this question we need to take a step back and say ‘should Thatcher have supported women?’ The media are obsessed with what Thatcher did for women because Thatcher was a women, but there is no way the media would devote hours of news coverage and miles of column inches debating what James Callaghan did to support women. This isn’t to say I don’t think that women in powerful positions shouldn’t support other women climbing the ladder, far from it. I just think we need to recognise the double standard – if powerful men felt more pressure to increase the representation of women in politics and business we might be living in a very different world. But it’s not just the double standard that narks me: I have also been disappointed at which pundits the media has called in to give their opinion; ITV News interviewed Kirstie Allsop and Janet Street Porter on the subject. I have to admit I have a guilty crush on Kirstie – I love watching her craft and property shows – but when did she become an expert on politics and feminism? I have no such fondness for Janet Street Porter who I had the misfortune of spending a day with on the campaign trail with Emily Thornberry MP. In her follow up article for The Independent she included a section entitled ‘Battle Dress’ detailing the outfits of Emily and the other candidates. It’s more than a little annoying that ITV chose to interview a woman who perpetuates the media focus on women’s appearance rather than their qualifications, when they could have asked the likes of Tory MP Liz Truss, or LSE feminist political theorist Anne Phillips, or businesswoman and equality champion Helena Morrissey, or any number of women with more relevant experience. Many commentators have said that by simply being the first woman Prime Minister Thatcher helped other women, but the numbers don’t back this up. The only real increase in the number of Conservative women in Parliament took place in 2010 when the number more than doubled to an all-time height of 49. In the five elections since Thatcher stepped down the numbers have sat stubbornly in the mid-teens. Clearly having a women in power does not automatically create a more equal world for women. While I sincerely wish that Thatcher had used her position to encourage other women to get involved in politics, I think we need to hold our all our political leaders to the same standard, and ask the same questions of all Prime Ministers regardless of their gender.